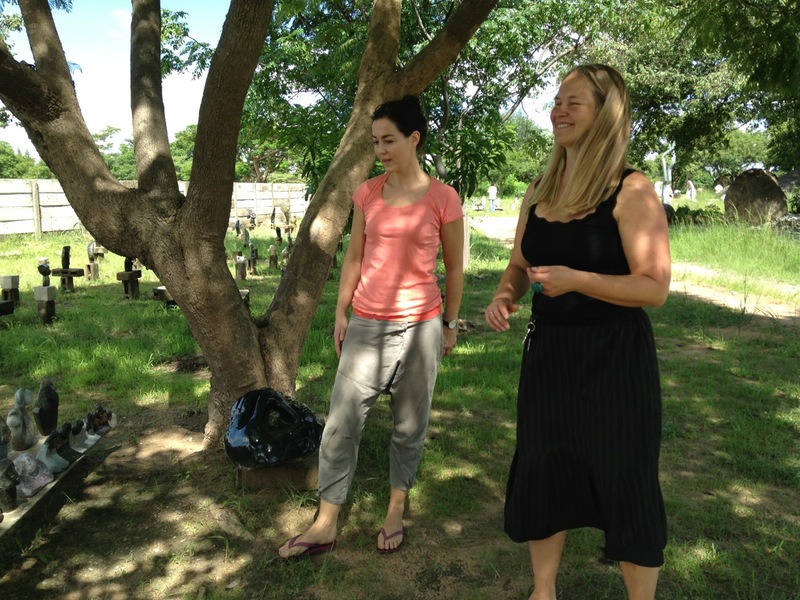 FairTrade Designers has been in Zimbabwe again in January 2013. During a buzzy week new products where developed at workshops together with artists in Chitungwiza Art Centre 30 km outside Harare. FairTrade Designer Pil Bredahl and Alice Jul from House by the Sea looking at artists work. Dialog about 1. generation products to make it ready for ordering and sale in Denmark. Magazins and other imput about the Scandinavian market are presented for the artist as an introduction to make 2. generation products.